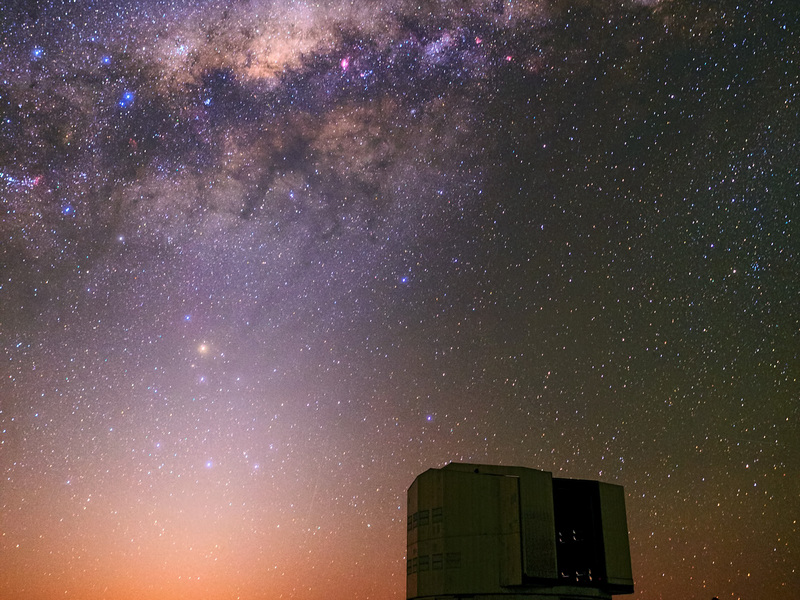 In this romantic scene a bright, crimson sunset complements the colourful centre of the Milky Way and the zodiacal light above the platform of the Very Large Telescope (VLT) on Cerro Paranal. The pink regions scattered across the disc of our galaxy are regions where new stars are being born. On average the disc is about 1000 light-years tall and about 100 000 light-years in diameter. 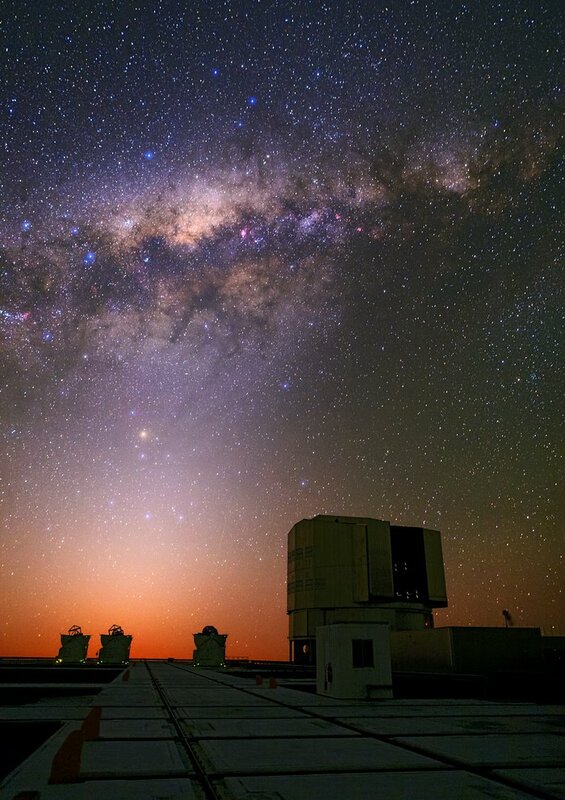 The setting Sun is just one of over 400 billion stars found in the Milky Way. 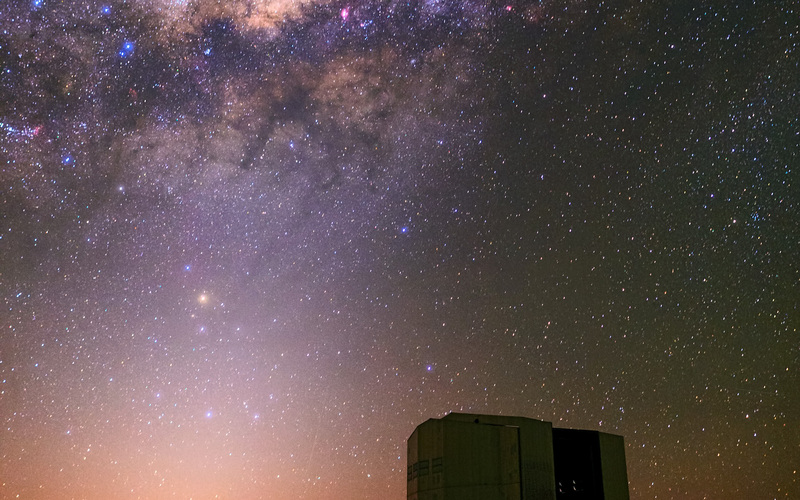 Captured in this image is one of the Unit Telescopes (UTs, here UT1 also known as Antu) and three of the four Auxiliary Telescopes (ATs) which form part of the Very Large Telescope Interferometer (VLTI). To the left of the UT is a very faint meteor, and the red supergiant star Antares stands out above the ATs. Antares is found at the heart of the constellation of Scorpius (The Scorpion). 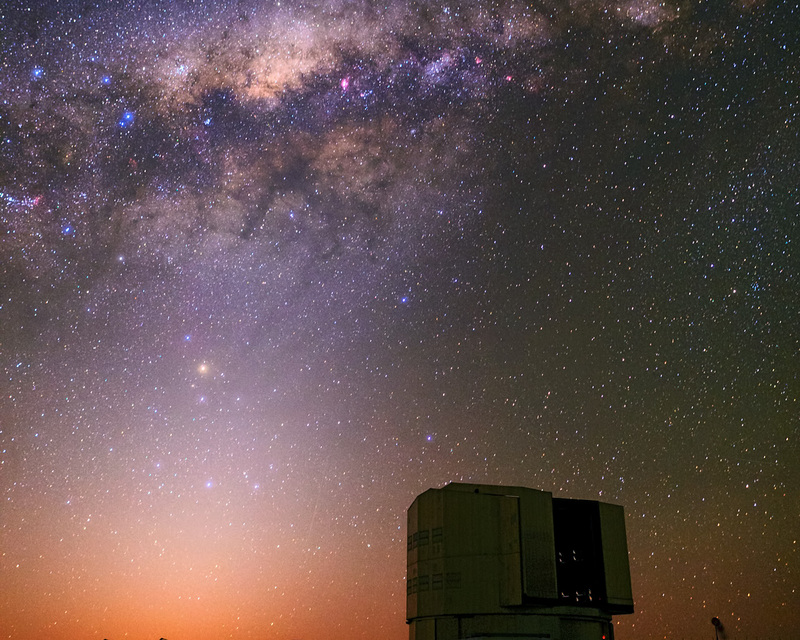 This photograph was taken by Babak Tafreshi, one of the ESO Photo Ambassadors.